I've read some comments of people commenting about the Nokia 8 design, saying that Nokia should innovate and put out a new design for its upcoming Android flagship smartphone. I personally think it's a great idea to maintain the classic design that we all learn to love from previous Windows Phone Nokia devices. The design is not the same of course, but Nokia made sure that the key design elements persist so users will be emotionally triggered by it (I assume). When I see a phone with this design, I know it's a Nokia phone from a far away. Although most phones look alike,. out eyes learned to pay attention to the fine details and we can recall which phone it is based on some minor design differences between devices. I really like the overall curved design of the Nokia 8. Nokia uses curved edges and corners and a 2.5D curved glass at the front, what makes the phone look really seductive. The only thing that I probably wished the Nokia 8 had is an edge-to-edge display, which makes this phone looks absolutely stunning. I don't like the top and bottom bezels, but the edge bezels are slim. There is also the classic and iconic vertical camera compartment that we all learned to associate with Nokia Lumia phones, like the Lumia 928 for example, with the Carl Zeiss brand textural printing at the back. I'm sure that in the upcoming years Nokia will embrace the edge-to-edge display design as most mid-range and high-end phones will carry this look. People will expect Nokia to keep up with the market's design trends. Of course an edge-to-edge design isn't just about beauty, it allow phone manufacturers to create slimmer phones buy still maintaining a large screen size. I personally really liked the Nokia Lumia 800 phone design. It was really unique how the screen blended with the rest of the phone's body. We don't get to see designs like that anymore. I guess this is not the most optimal design but it looked great. 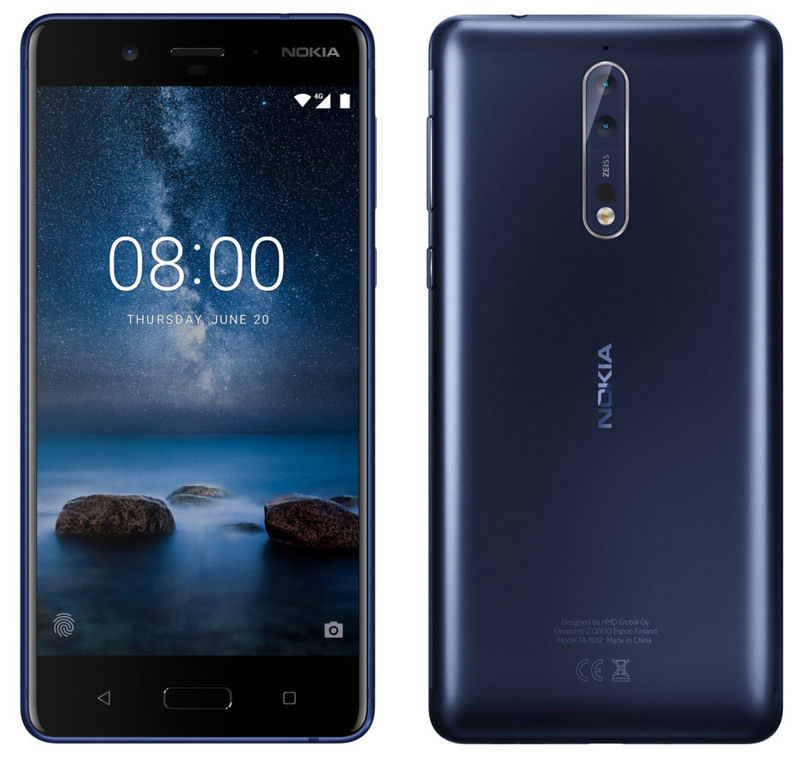 The Nokia 8 continues the same design language of the other Nokia phones in the lineup like the Nokia 6 design. Overall, not just that I have not many complains, I am very happy to own a phone that resembles idolized phone designs from the past. This is something that allow users to associate the phone with the Nokia brand, so it won't be yet another Android smartphone. This why I think it's an advantage and can make the Nokia 8 stand out from the rest, rather than a negative design decision that some people have mentioned. A leading exemplar of superb design philosophy that Nokia was known for.